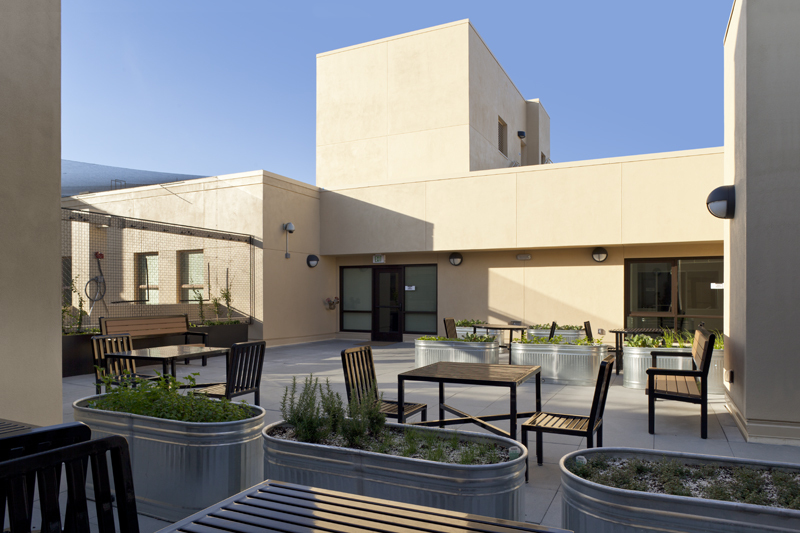 Kelly Cullen Community Housing Historic Rehabilitation – Sorensen Partners | Architects + Planners, Inc. 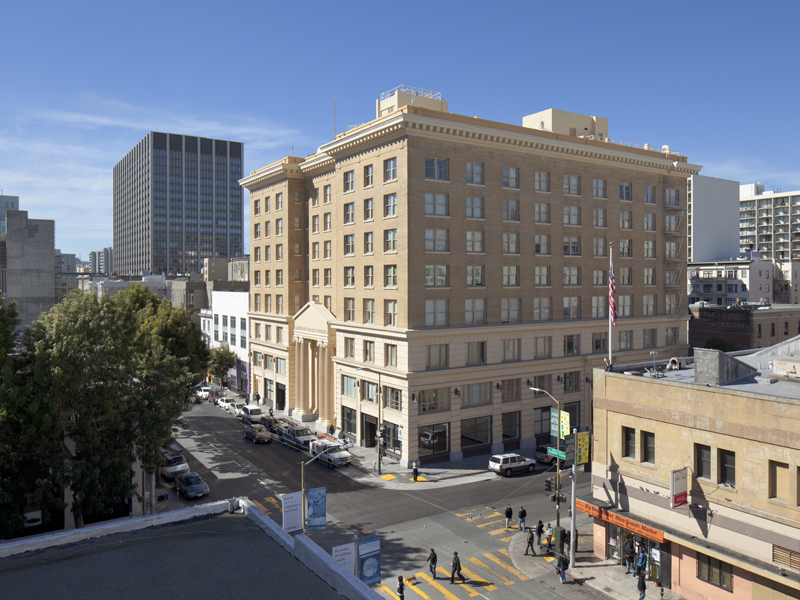 The Kelly Cullen Community is a residential development housed in the restored 1909 YMCA Hotel at 220 Golden Gate Avenue, San Francisco. 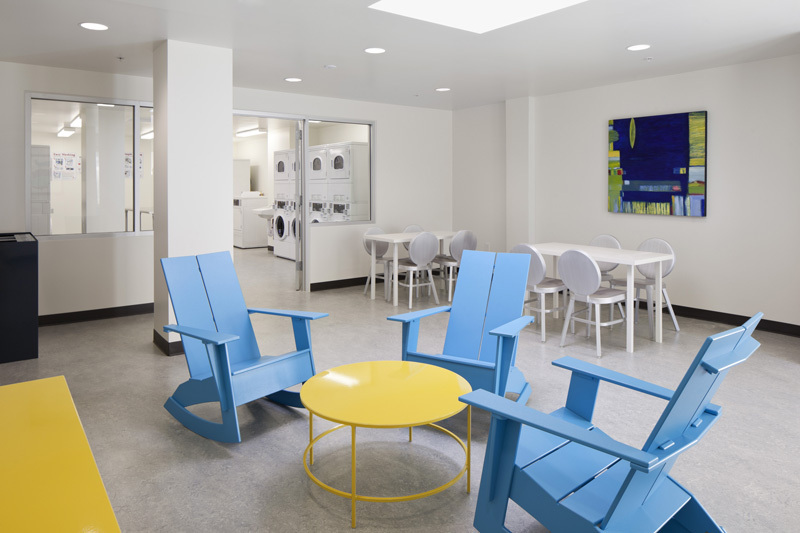 The existing residential units were altered and restored into 174 units of permanent affordable housing (230 sf units with kitchenettes and full bathrooms) for the chronically homeless supported by common spaces and a landscaped roof deck. 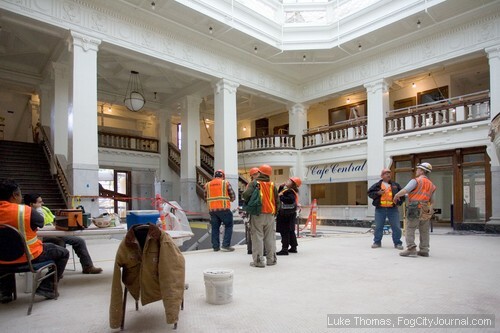 A historic gymnasium, auditorium, and multi-purpose room were restored for tenant use. A retail component of 13,000 sf of ground-floor commercial space was added to the historic building – including an art gallery and a health and wellness clinic run by the Department of Public Health. Design and detailing of ceilings, lighting, walls, and furniture is functional, modern, and complementary to the historic interiors. 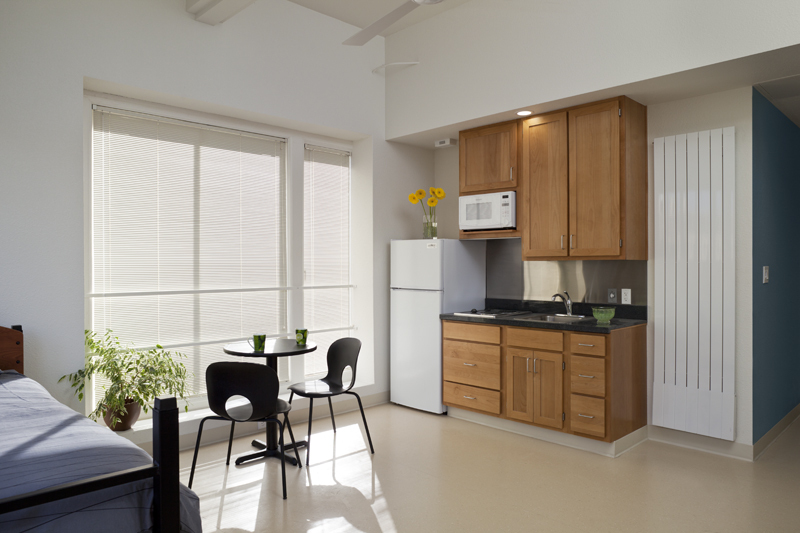 The 230-square foot efficiency studios have kitchenettes and full bathrooms. Their layout built off of the existing YMCA hotel floor plan and window locations but dramatically re-worked plumbing, electrical, and HVAC. The construction standards include numerous efficiency and health measures: efficient electrical, plumbing, and mechanical equipment and fixtures; a solar hot water pre-heat system; low-flow fixtures at sinks and dual-flush toilets; limited use of products with high embodied energy (such as vinyl); paints and sealants with low or zero Volatile Organic Compound content; and formaldehyde-free insulation and no urea formaldehyde plywood. Sorensen Partners Principal-in-Charge Marie S.A. Sorensen, AIA was a staff member on this project with Gelfand Partners Architects. All images courtesy of Gelfand Partners Architects.